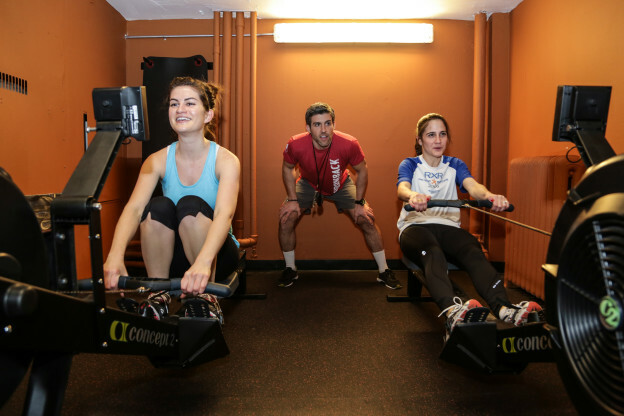 Dubbed as “the new spinning”, rowing is one fast-growing workout trend with rowing studios and classes popping up across the country. In this guide, we’ve got all the details about this workout trend from top-notch instructors. What Makes Rowing So Awesome? Molly Setnick from Crowbar Cardio in Dallas calls rowing a “a major calorie-burner, toner, and strengthener” because it uses pretty much every muscle in your body. Tish Watson from WeRow in Minneapolis adds that rowing uses about 84% of your muscle mass, incorporating a ” a leg press, a deadlift and an upper body row”, which means you get a great calorie burn while also building strength. Katelyn Woodard from Row & Ride in Hanover, MA also says anyone can row because it’s such a low-impact activity and the class environment creates a team atmosphere that keeps you going. This entry was posted in Fitness Tips and tagged boutique workouts, indoor rowing, rowing, rowing beginner, rowing classes, rowing form tips, rowing fusion on January 19, 2016 by Janelle Martel.